Homely Home is a homewares outlet that has taken the direct-to-consumers approach. We still deliver our customers the finest quality products, instead at a cost that doesn't break the bank. The opportunities that the Digital Age has given means that we can offer the best value to our customers by sourcing our products direct from its manufacturers, thus evading the traditional brick-and-mortar business model. We want your home to feel 'homely' so we have handpicked products that give you that warm feeling. You can feel satisfied knowing that you have a quality product at its best value. Get exclusive information on how you can tell if a product is good quality, and why manufacturers don't want you to know! Also receive a free eBook on '5 Bedroom Styling Hacks' as a thank you from us at Homely Home. Bedrooms are one of the places people spend majority of their time in. Having a good rest is what prepares you for the following day. Skimping on bedroom supplies and style not only creates a dull atmosphere, but also can prevent you from getting a full nights rest. Here is a short but sweet summary of 5 key items you need to upgrade, if you want a better quality sleep and overall experience in the bedroom! Now, this one is our most practical option, and probably the most important. From experience at my own home, my husband would complain to the end of the earth about my old lumpy mattress that I couldn't bear to part with. Mattress's become apart of a bed, and we become so used to bearing with what we have. But enough is enough, and it is time to stop settling for less than we deserve! Go get that mattress and have your first perfect nights rest in a long, long time. Next, get some black out curtains. I can't stress enough how much black out curtains help get you some extra Z's! There is nothing worse than waking up early on a weekend because of the light streaming in. We have some in stock on our website here. The winter months get cold. Real cold. And along with cold weather comes, you know it, a biiig gas bill at the end of the month because of the heater! If you want to avoid a signifcant raise in those costs, invest in a big warm throw blanket that you can add to your bed for extra layers. 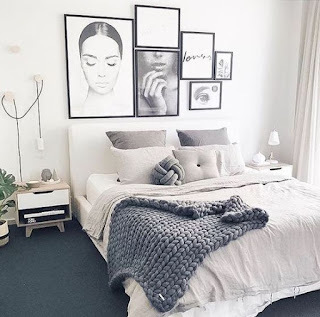 We really love the chunky knit blanket trend, and our favourite is dark grey! You can find them through Homely Home here. 4. Stylish storage, its a thing! 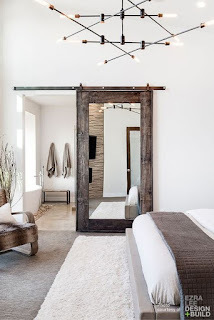 If you are keeping up with the minimalist trend, you may have seen free standing coat hangers making an appearance. These things are super fantastic for adding something extra to your bedroom style, whilst also a practical option for preparing your outfit for the day. We love pairing a black free standing coat hanger in a minimalist white room! There is nothing worse than poor lighting that either blinds you to the n'th degree, or too little lighting that you can't even find a pair of socks that are the same colour. LED lighting is incredible for power saving, but make sure to pair an LED light globe with a beautiful light decoration / chandelier to add some beauty to your bedroom space. We love our bird cage pendant lights! We would love to see your beautiful bedrooms on our social media! 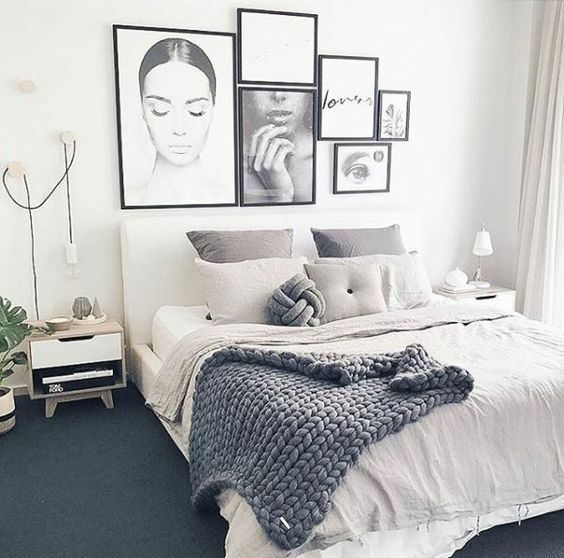 Tag us at @homelyhomeaustralia or hashtag #homelyhomeaustralia and we'll feature our favourites!